ALEXA Short Necklace Steel. 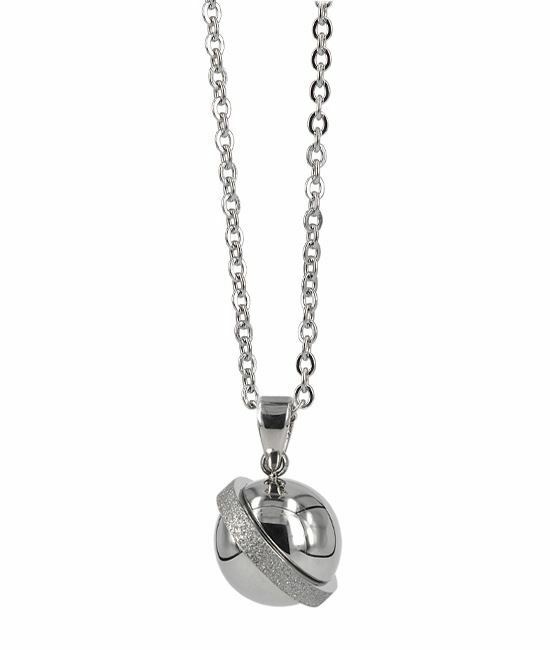 Short steel plated necklace with a ball with a glittery ring around it. Diameter of the pendant: 10mm. Color: Polished Steel. Material: Steel. Length: 40 cm + 6 cm extension chain. Short steel plated necklace with a ball with a glittery ring around it.